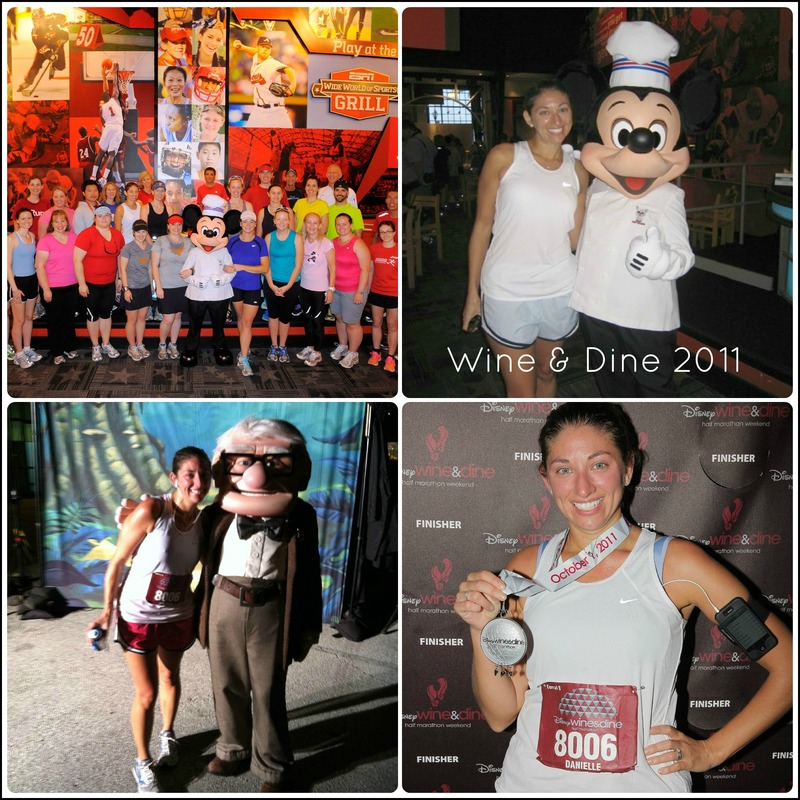 While I’m working on my recap of the New York City Marathon I figured I’d take a minute to address my next race, the runDisney Wine & Dine Half Marathon THIS WEEKEND (it really snuck up on me this year!). 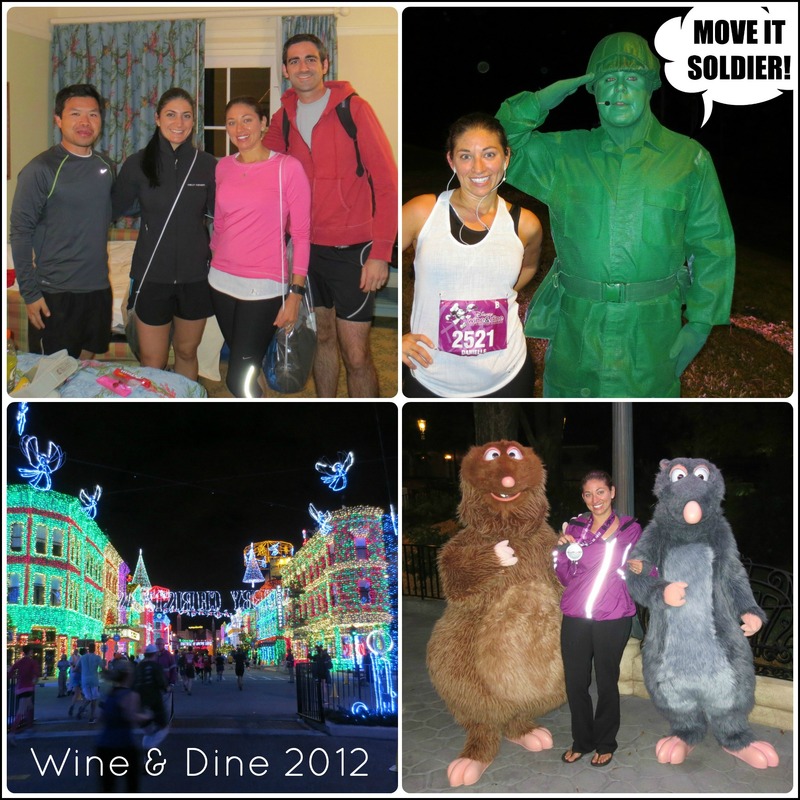 Back in 2011, the Wine & Dine Half Marathon was my first race EVER and because of that, I look at this race weekend as sort of an anniversary. I went from being a total non-runner to choosing this race as my goal while fundraising in memory of my friend Kerry who lost her battle with Leukemia and every year it’s a reminder of how far I’ve come and all the amazing friends I’ve made along the way (Wine & Dine 2011 is actually where I met Jenn, Daniel & Patrick who you’re probably familiar with from all my race photos!). 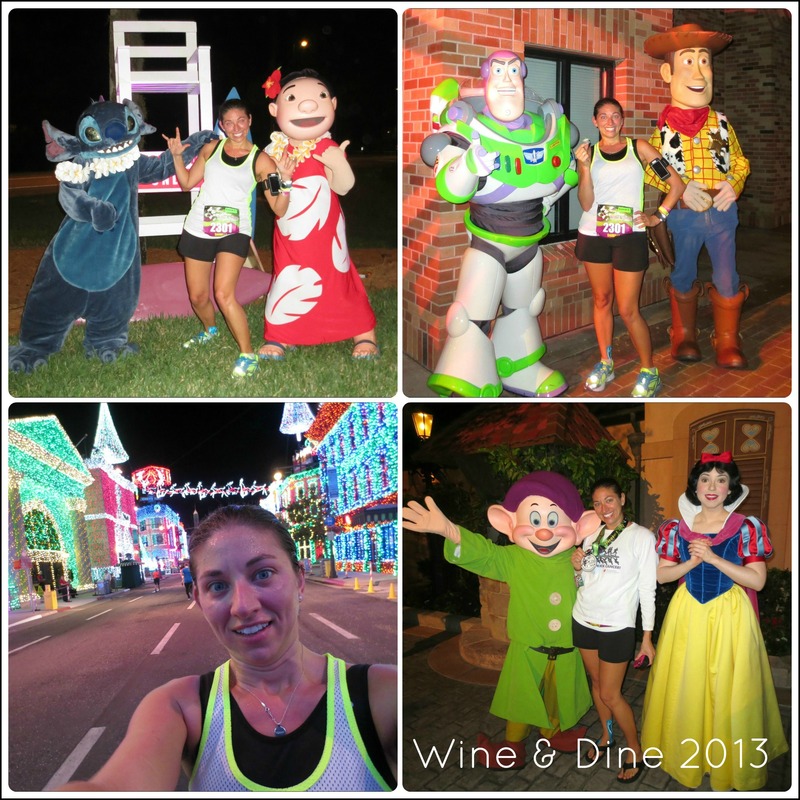 So, whether you’re getting ready for the Wine & Dine Half Marathon weekend yourself this year, or if you’ll be virtually following from home, I invite you to take a look back at my experiences at Wine & Dine over the past 3 years! I can’t wait to get all the fun started this year! Be sure to let me know if you’ll be there, I’d love to say hi! Do you have an “anniversary race”?? Wish I was running it this year! I LOVE Wine & Dine too. You know, since that’s were Phil and I got engaged… and because it’s awesome. Oh I know, you have such a great connection/ story with that race too! And it’s where we FINALLY met last year! Aw fun! That’s where I met you! (And Jenn, Pat, and Dan.) I miss running at Disney but it got to be a little too expensive for me. One day though, I’ll be back again for sure! 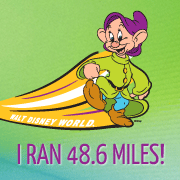 I know, they really are expensive, but I keep rationalizing it because the Disney races are really what keep me motivated to keep running! Ahhhh, I can’t wait! Honestly with all the worrying I’ve been doing about NYCM this totally snuck up on me! I love the Wine and Dine race weekend, but with Tower of Terror last month and Marine Corps and Richmond on our race calendars, we could not fit it in. Have a fabulous time! Yes, that would definitely be a lot! I know it’s a little much to do the weekend after NYCM, but I really couldn’t pass it up, I just love this race and the weekend with my friends too much! That looks like my ULTIMATE dream! When does it take place? An awesome anniversary one to have! It’s this weekend! The race starts at 10pm on Saturday night and finishes in Epcot which is open until 4am for the runners for the Food & Wine Festival! It’s awesome!! Oh wow well good luck!! Are you feeling ok about it? Do you have a time in mind? I absolutely would love to do it. I might just sign up next year… Might just beat running in the UK! I’m definitely resting up my legs after running a marathon this past weekend, but I think I’ll be good to go! YAYYYYYY!!!!! I didn’t know you would be there!! #NardiChallenge WITH THE NARDI!!!!! WHOOO HOOOOO!!!!!! Of course, Wine & Dine is my FAVORITE!!! This is on my bucket list! I’m planning to run it in 2015 as my first half. Just remember to keep an eye out for when registration opens – it sells out quick! I’ll be there! If i see you I am totally going to ask for a photo! It’s like meeting a celebrity! Haha, oh wow, that feels like a lot to live up to! If you do see me though, PLEASE come over and say hi! I really do love being able to look back at my race recaps from previous years, it gets me so excited! If you see me, please do come over and say hello! Looks like a blast! I just browsed through all your recaps. I don’t even know enough Disney characters to follow along, but it looks like you have tons of fun with all the weekend events and pals! Have a blast this 2014!! Wine & Dine is awesome because it’s at night and then the after party goes until 4am! Love the Disney races! I’m super jealous! I would love to do another Disney race, period, and particularly this one! Now that we’ve moved to DC from Seattle, Florida is a lot closer… maybe next year :-). Have a fantastic time, can’t wait to see the pictures! Thanks Becca, it a bit soggy this year (of course only rained during the race! ), but all the yummy food at the festival afterwards made up for it!